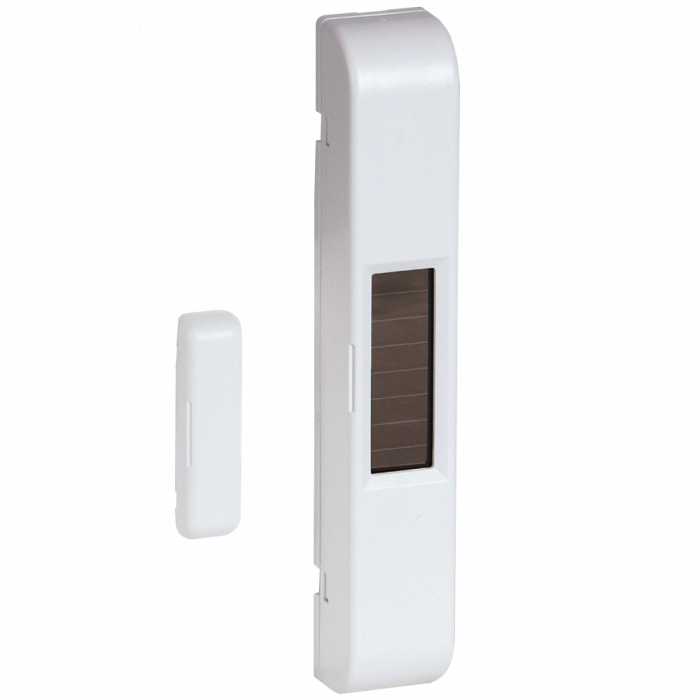 The Omnio window contact FK101 1-channel is a battery-less and maintenance-free radio transmitter to monitor the condition of windows and doors. Typical application examples can be to turn off the heating while windows are open or to raise the blinds when sliding door opens. The window contact FK101 consists of a transmitter module driven by its own solar cell and a small counter magnet and can be fixed on window- and door frames made of wood, glass and luminium. If lighting conditions on site are insufficient place the model with additional back-up battery.